In honor of her son, Mike, the ACA is pleased to assist in continuing Marge 'River Mom' Cline's legacy to encourage youth in the Midwest (IL, IN, MI, WI) to participate in paddlesports. A master of canoe and kayak, Marge was one of the top paddling instructors in the country. A stickler for safety and proper technique in her classes, she thrived on the exhilaration of taking on a wild river. 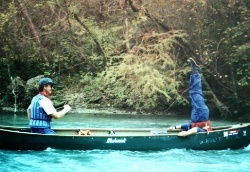 Her signature move was a headstand in the bow as her canoe shot through white water. 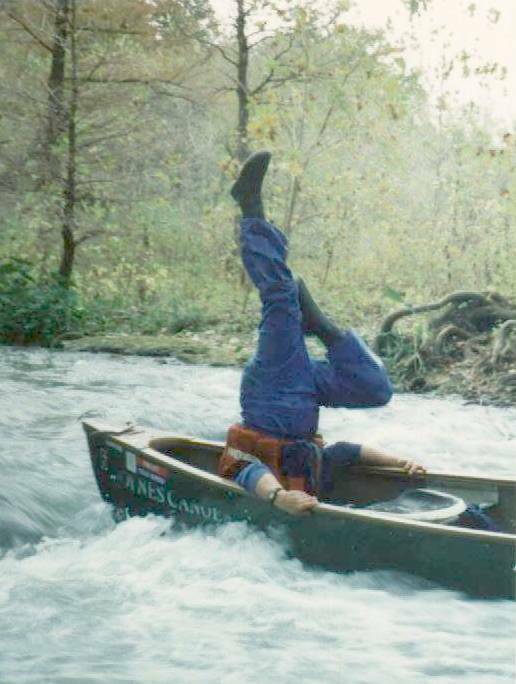 A family rafting trip to West Virginia in the late 1970s hooked Marge on river sports. She was teaching within a few years and became certified by the American Canoe Association as an Instructor Trainer Educator. Marge edited the Chicago Whitewater Association newsletter for more than 25 years. She also subscribed to similar newsletters around the country and gathered pertinent news for a publication called Confluence, which connected canoeists and kayakers. In the early 1990s, Marge organized a Paddling in the Park event in Chicago, which later drew hundreds. In 1996, she was inducted into the ACA Hall of Fame as a Legend of Paddling award recipient. In 2000, Marge was named one of 100 Paddlers of the 20th Century by Paddler Magazine, one of many honors she received over the years for her dedication to the sport. The ACA has set up a dedicated account if you would like to contribute to this grant program for youth paddlesports education in the Midwest. Each year, as funding permits, the ACA will grant up to $1,000.00 to individuals or non-profit organizations to provide youth paddlesports opportunities for youth in the Midwest. These funds should be used to further an individuals ability to participate in canoe, kayak, SUP or rafting. A condition of acceptance, is that the recipient(s) will commit to giving back to their local paddling community. For example, the recipient could talk about whitewater safety at an event, organize a local river clean up, etc. How will the grant funding encourage or increase youth participation in paddlesports? Community Service: what will you do to 'give back' to your local paddling community?